Charles T. “Buck” Harris, Age 86 of Washington CH entered into his heavenly home on Sunday July 15, 2018 at the Chillicothe VA Medical Center, following a brief illness. Buck was born June 13, 1932 in Greenfield, Ohio to the late Wilbur and Dorothy Sharp Harris. He was a graduate of Greenfield McClain High School, where he excelled in football, basketball and baseball, winning may honors and awards. After high school, Buck attended Fort Valley State University in Georgia, on a football scholarship. Following college, he was drafted into the service. Buck was a proud US Army veteran, serving as a Forward Observer Radio Operator in the 33rd Field Artillery Battalion in the First Division, the Big Red One. He was also chosen to march in the Liberation Day Parade in Holland. Upon returning to Fayette County, Buck worked 10 years at Armco Steel and over 30 years as an installer, repairman, dispatcher and assigner for Ohio Bell, Ameritech, SBC and AT&T companies. Buck was a generous man, giving time and resources to help many organizations over the years. He was a past President of the Fayette County Red Cross and a VAVS Representative for the Southern Ohio Veterans Home in Georgetown. He was an ardent supporter of the Special Olympics, serving in many roles and positions over the years. He also enjoyed delivering Meals-on-Wheels in the community for the Commission on Aging. Buck was a member of the Cedar Grove Masonic Lodge #17. 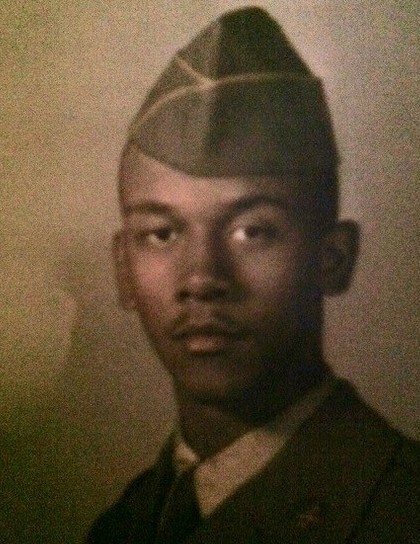 He was a member and Past Commander of the American Legion Homer Lawson Post 653 and a Buckeye Boys State Chairman. 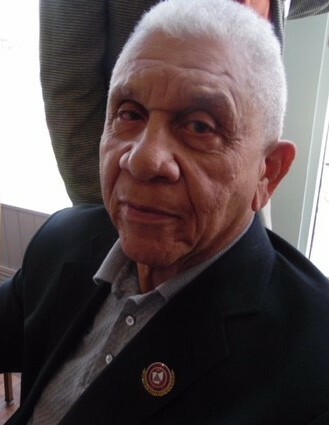 He served for many years as a member and Vice President of the Fayette County Honor Guard, assisting in countless services to other fallen veterans. Along with his parents, Buck was preceded in death by his wife, the former Shirley Marie Hart and a sister, Millicent Pruitt. Survivors include his fiancé, Cindy Harris; children; Sandra “Sandi” Harris of Columbus, Charles T. “Butch” Harris II (Rhonda) of Washington CH and Stephanie “Stacey” (Joe) Cannon of Worthington; grandchildren, Myles Harris, Bailey, Rylee, Kylee, Sarah, and Brandon Cannon, Charles T “Trey” Harris III and Tasha Harris (Kodi Jackson); a great grandchild, Eloise James Harris; a sister, Maribelle Anthony; and a brother, Paul (JoEllen) Harris. He is also survived by many in-laws, nieces, nephews, cousins, and a host of friends. A Mass of Christian burial is planned for Friday, July 20, 2018 at 11am at the St. Coleman of Cloyne Catholic Church with burial following in the St. Coleman Cemetery. The Family will receive friends on Thursday July 19th from 3pm to 7pm at the Roberts Funeral Home in Washington CH. In lieu of flowers, donations are suggested to the Special Olympics. Online condolences and photos may be shared with the family at www.robertsfh.net.